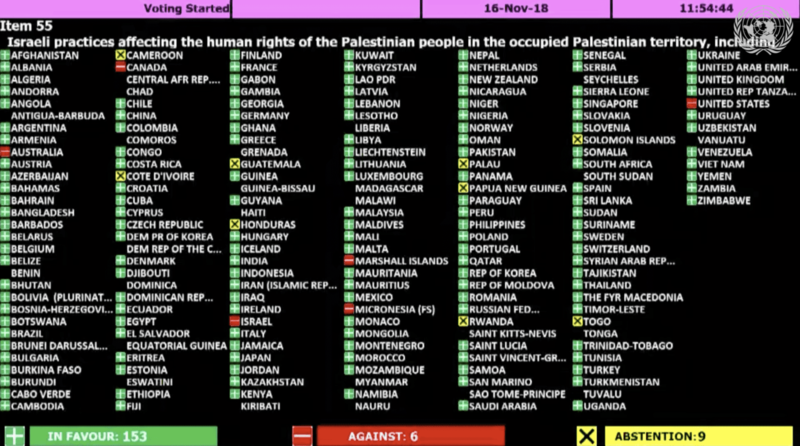 NEW YORK, November 16, 2018 – The UN General Assembly’s decolonization committee, which includes all 193 member states, today adopted nine resolutions against Israel, and zero on the rest of the world. 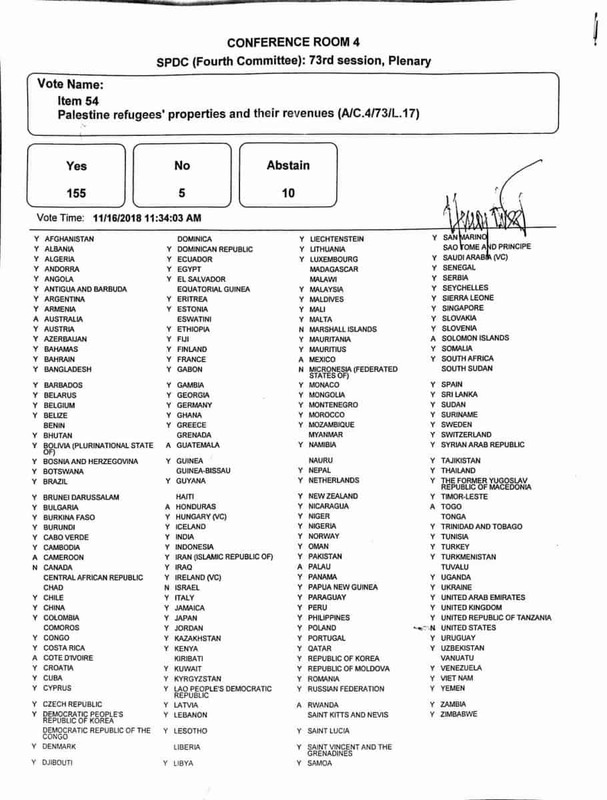 The texts condemned Israel for “repressive measures” against Syrian citizens in the Golan Heights, praised the UN Relief and Works Agency (UNRWA), and renew the mandate of a UN special committee to investigate “Israeli practices affecting the human rights of the Palestinian people.” For more information, see UN Watch’s press release. Following are the resolutions and vote tallies.